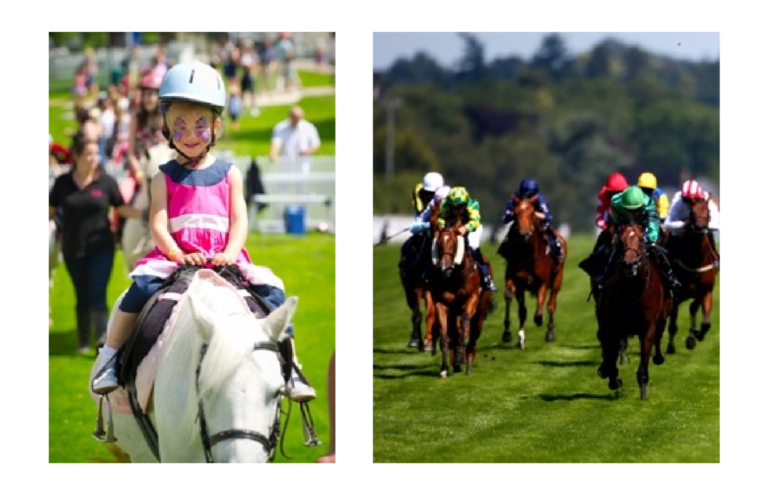 The Summer Mile Family Raceday at Ascot Racecourse is the perfect family day out, combining fantastic entertainment for all ages with quality horse racing. Alongside a seven-race card racegoers will find a new designated Family Only Enclosure with fairground rides, on and off-stage entertainment, creative workshops and much more. Children under the age of 18 are free when accompanied by a full paying adult. The Summer Mile Family Raceday exemplifies how Ascot Racecourse perfectly complements sport with entertainment. Featuring the £130,000 Group 2 Fred Cowley MBE Memorial Summer Mile on the track, there is something for everyone away from the track too, making it the ultimate treat for the whole family. The fun starts from the moment you step off the train at Ascot station, where young racegoers can hop on-board a special land-train taking them to the racecourse entrance. Inside, the Old Paddock will be transformed in to a new Family Festival wonderland with face-painting stations, themed arts & crafts areas with activities such as headband making, circus skills workshops and much more. Fairground rides, including tea cups, mini jets and helter skelter, and Clip Clop Pony Rides on the lawns will keep little ones entertained throughout the day, while older siblings can challenge one another with inflatable obstacle courses. A football competition and dancing workshops will keep teens occupied between races, or they can opt to join a slower-paced educational vlogging workshop. A band will play on Ascot’s famous Bandstand between racing and there will be special food offers celebrating National Mac & Cheese Day, also on Saturday 14th July. There are plenty of casual and Fine Dining options for families at Ascot. A family picnic lawn will allow parents to watch the racing with exceptional views of the Winning Post and childfriendly dishes will be available from The Bandstand Restaurant, the racecourse’s popular Queen Anne Enclosure restaurant, where children under 12 eat free when accompanied by a paying adult. Fine Dining packages in ON5 and the Parade Ring Restaurant start from £130+VAT per person, including admission, with special rates for children making it great value. Tickets for adults are available in the King Edward VII Enclosure and the Queen Anne Enclosure, starting from £19 for groups on Saturday 14th July if bought in advance and U18s go free. Advance booking is advisable. Guidance on travelling to and from Ascot and thoughtful, practical advice for families covering every element of the day is available on Ascot’s website. Maps can be found in the racecard on arrival or accessed via the free Ascot App highlighting buggy parks and changing and feeding facilities for little ones, along with specially designed racecards for young enthusiasts. The Summer Mile Raceday is the link between two of Ascot’s premier race meetings, falling between Royal Ascot in mid-June and the King George Weekend at the end of July. Attracting the world’s best jockeys and horses year-round, the racecourse is synonymous with showcasing the best of British summertime.